Microsoft ha iniziato proprio in queste ore il rollout della build 10512 di Windows 10 Mobile, una build di cui vi abbiamo già parlato nei giorni scorsi apparsa su alcuni terminali cinesi e il cui arrivo era stato confermato giusto ieri da Gabe Aul. Come è facile prevedere, questa nuova build 10512 introduce una serie di novità e risoluzione di vari problemi rispetto alle build precedenti. Microsoft inoltre conferma, tramite un post sul suo blog ufficiale, il rinnovato impegno del team di sviluppo nei confronti di Windows 10 Mobile specialmente a seguito del lancio della versione stabile per PC del sistema operativo. General improvement in overall stability and performance. You can now set the Lock screen and background image from within the Photos app. We fixed an issue where apps installed on SD cards weren’t working after a reboot. We have improved Latvian and Chinese inputs. We have made improvements to the Kid’s Corner tile layout. We have improved reliability of Data Sense notifications. Modified Shape Writing algorithm to be less aggressive in suggesting contact names over common words. Resolved an issue where Camera would not launch when the phone was locked. We fixed an issue where notifications for incoming text messages weren’t appearing. We fixed an issue where the touch screen wouldn’t be responsive after ending a phone call on some devices. And we fixed an issue where folder tiles have obviously overlapping text. Mobile hotspot doesn’t work in this build. When sharing the Internet from your phone using Mobile Hotspot, devices will fail to get a valid IP address from your phone and will show no internet access. Two-factor authentication for your MSA with a phone number doesn’t work in this build. If you reset your phone and go through the first run experience, you won’t be able to input more than 2 characters for validating phone or text authentication. If you have a secondary email for two-factor authentication – you can choose that. As a workaround, add secondary email for two-factor authentication. Some phones might spend a long time in the post update migration experience – just let the phone sit and it should complete this migration. Apps that use background audio such as Groove, Podcast, Pandora, etc. will crash when launching after receiving an app update from the Store. Rebooting the device will resolve this issue. 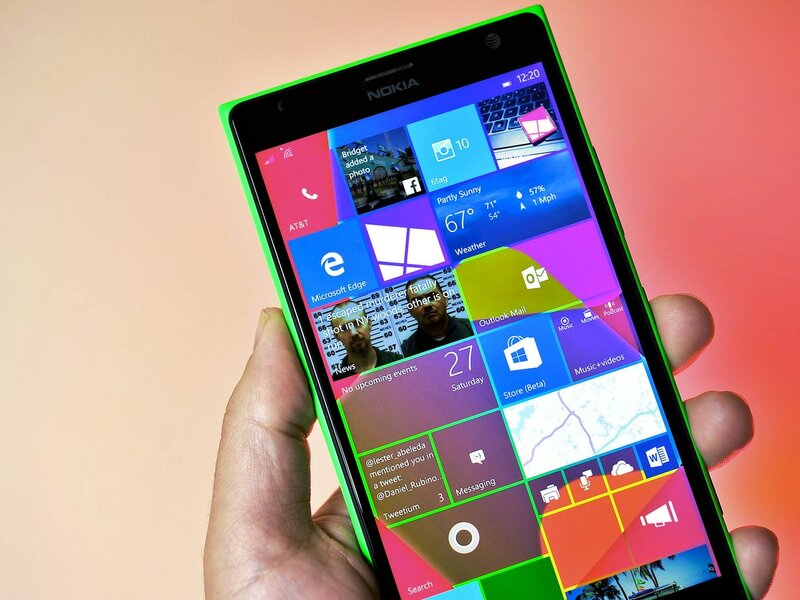 Some phones with a large number of tiles pinned to the Start screen may get stuck in a state where the device shows “Loading…”; the device will need to be reset or rolled back to Windows Phone 8.1 using Windows Phone Recovery Tool. Some apps may fail to update through the Store with the error code 0x80073cf9; uninstalling the application and reinstalling it will resolve this issue. The Movies & TV app will not work in this build (video playback is currently broken). Microsoft si raccomanda inoltre di scaricare anche i vari aggiornamenti relativi alle app dallo store e di inviare eventuali feedback sulla build sfruttando Windows Feedback app.